Here it is. Friday again. We were originally scheduled to have a blizzard tonight and tomorrow. The governor even declared a preemptive state of emergency. Now we've been downgraded to a 20% chance of rain. I'm bummed. I was looking forward to being snowed in. My schedule got all fubared this week so I don't have a lot of down time this weekend. All the things that were scheduled during evenings this week got moved to this evening. Now that we aren't going to be snowed in tomorrow, it looks like I will have to actually get out and do errands. And Sunday is just a hot mess. The bells ring in church in the morning, and I have to work 12:30-5:00. Then I have dance at 6:30. Not a lot of reading time. Which is super rank because I am in the middle of this readathon, and I haven't even finished 1 book, yet. So here's what I will read if I ever get the chance. 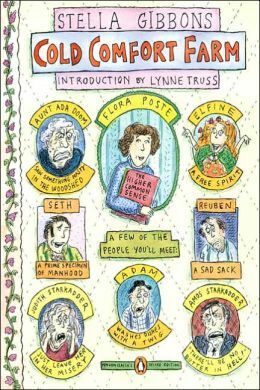 Cold Comfort Farm by Stella Gibbons - I actually have less than 50 pages left of this to read. I really hope to polish it off tonight after all the things on my schedule are done. 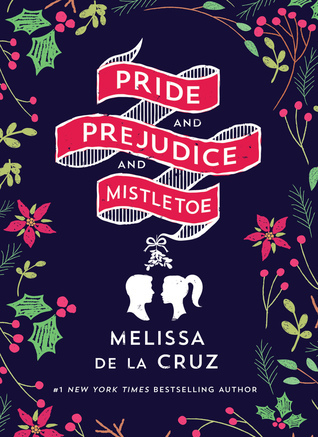 Pride and Prejudice and Mistletoe by Melissa De La Cruz - I keep hearing how cute this is. I hope that's true and that I get a chance to judge for myself. I think I put this on my TBR for the next readathon too, just in case I don't finish it. That's about it for this weekend. What will you be reading?